The desire to prevent and reverse hair loss is held by most people at some point in their lives, and it can be a point of huge stress for some. Thinning of the hair is usually associated mostly with men, but millions of women every day are also dealing with this issue. We've all seen the awful infomercials promising miracle pills that provide long luscious locks or guaranteeing that hair transplants are your best option. If both safety and affordability are concerns, read on to learn what treatments actually do work to prevent and reverse hair loss. A major factor in preventing hair loss starts with your diet. Our hair is a bi-product of our bodies and is mostly made up of protein and long chains of amino acids and peptide bonds. To properly feed these structures, a healthy, well-rounded diet is required. Staying away from unhealthy and processed foods is a great foundation, but adding extra nutrients to encourage healthy hair growth will give you the best results. Below is a list of hair healthy foods and nutrients. Protein: Our hair is made up of 90% protein, so it is essential that we incorporate it into our diet. When we think protein, you don't always have to go for the animal variety. Leafy, green spinach has plenty of plant protein that will also do the trick. Add Iron and Zinc: Iron is responsible for the transmitting oxygen to your hair follicles. It also helps your body use protein to grow and build strong hair. Zinc aids the body in repairing and growing hair and it keeps the oil glands of the hair working properly. You can take a zinc supplement, but natural sources such as peanut butter, pumpkin seeds, and chickpeas are even better. Don't Cut Out Healthy Fats: Adding healthy fats to your diet is extremely important for hair growth. Fat helps the body assimilate vitamins that are essential for healthy hair. Focus on eating unsaturated fats like Omega 3's. Vitamin C: Vitamin C is used by the body to build collagen which is essential for producing new hair cells. If you are deficient in vitamin C it can cause the hair to become weak and prone to breakage. Biotin and B Vitamins: Scientists aren't quite sure how it works, but taking certain B vitamin supplements, like biotin, have been shown to increase hair growth. The magic number seems to be around 5000 mcg and should be taken daily to see the best results. I have clients that have seen several inches of growth in a month (compared to the half inch per month average) when taking biotin supplements. 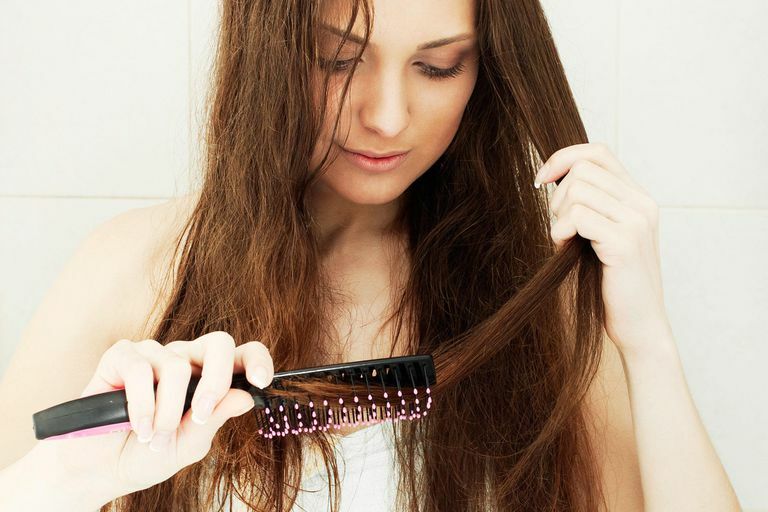 Silica: Silica is one of the most essential nutrients for the hair and skin. Silica helps the hair to retain its elasticity and also repairs damaged hair and follicles. The easiest way to introduce silica into your diet is to take one tablespoon of ​diatomaceous earth, every day. Ironically, the feeling of stress from hair loss is also about the worst thing for preventing it. Prolonged periods of stress trigger the body to go into survival mode. All of your body's energy and nutrients are used to maintain essential body and organ functions, which leaves your hair unprotected and unfed. In some extreme cases, clients will develop patches of alopecia, which causes the hair to fall out in big patches. The good news is, it seems that after the body heals from stress, stress-related hair loss tends to reverse itself after a few months, though this is not always the case. Excessive bleaching, chemical straightening, and perms can lead to damaged hair and breakage. Constantly using flat-irons, curling irons and tightly pulling your hair back can lead to the same fate. It's very important to educate your clients about protecting their hair if they are doing any of these things. If the hair is starting to become brittle from chemical treatments or excessive styling, suggest a protein treatment or product to your client. There are numerous products on the market that can help with hair growth and loss. These products are serious stuff and should always be used as directed. If you do, some of them really work. Propecia: Propecia has been shown to give results in 3 to 12 months after continuous use, the bad news is, it's only for men. Propecia and its side effects should be reviewed carefully before beginning this hair loss regimen. 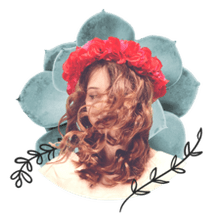 Some of the side effects listed are pretty scary, but I have plenty of clients who use Propecia, and they're absolutely in love with the results. Rogaine: Rogaine is a great option for both men and women. The active ingredient is called Minoxidil and it has been shown to stimulate hair growth and slow balding. Minoxidil has been shown to work best in people under 40 who's hair loss is recent. Rogaine is simple and easy to apply and comes in a foam that is rubbed into the scalp daily.